Entry systems for the Craftsman style home. Authentically detailed entry doors and entry systems. 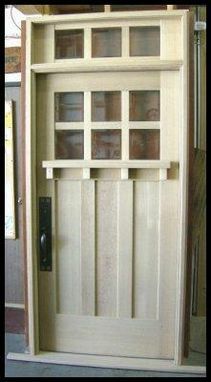 Available as a single door or a complete system with sidelites and/or transom. 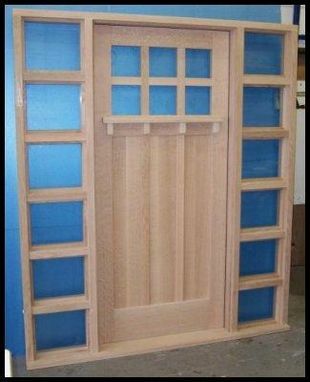 These solid lumber, furniture quality doors are hand crafted using mortise and tenon joinery. vertical grain douglas fir and other appropriate species. Finishing, lock installation and custom glazing are available. Many design options and configurations. 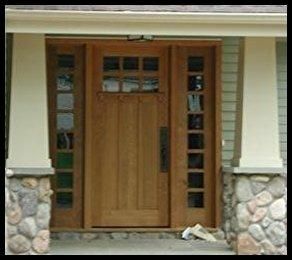 If you are looking to create a true Craftsman home you have probably seen all the "simulated craftsman and mission" style doors on the market....we invite you to see the real thing. See our website or call for more details and options.